Another great way to exercise your mind is through visualization. I do this often. Visual imagery is a great way to relieve stress – especially if you can’t physically get away. Though we can’t always go somewhere in the body, we can always take ourselves anywhere in the mind. Just read Sharon Hohler’s post below, as she takes us through a visualization exercise. I can already feel the warm sand on my feet! Enjoy! See this picture. I’m ready to kick back, relax and watch the ocean waves crash onto the beach. But wait, I’m at home, landlocked in Missouri. No ocean for miles around. But I’ve got a good imagination. 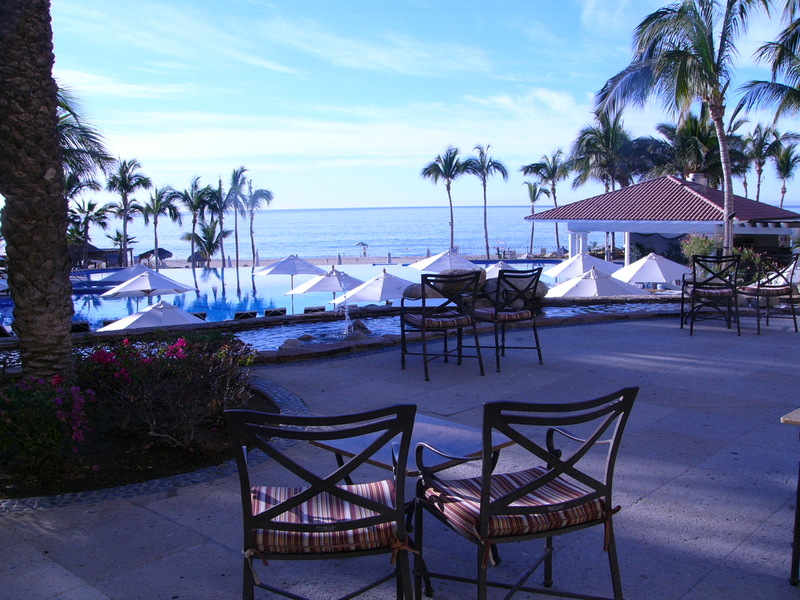 I invite you to stop for a few minutes, read this post and then imagine if you will: we are sitting in these comfy chairs and looking at the Sea of Cortez (between the mainland of Mexico and Baja peninsula). It’s early morning and the sun has popped over the horizon with a blaze of sunshine. It’s quiet except for the deep bass rumble of waves crashing on the beach. The ocean breezes are gently blowing across our faces. We sit quietly and sip our first cup of coffee for the morning and take a few big deep breaths of clean, fresh air. Niiiice. Can you feel the peace and quiet for a few minutes? Do you feel the tension drain away from your body as you relax? Take a big deep breath, hold it for a few seconds and release it, letting your muscles relax. Thanks for enjoying visualization (my imaginary vacation) for a few minutes. I hope you enjoyed it as much as I did.